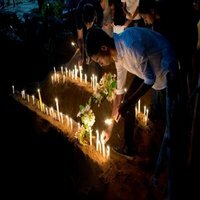 NEW YORK, New York - The United States has launched a blistering attack on the International Criminal Court (ICC) in The Hague. In a speech to the Zionist Organization of America in New York on Sunday, National Security Advisor John Bolton described the court as an utter disgrace, and as an illegitimate, unaccountable, and unconstitutional foreign bureaucracy. 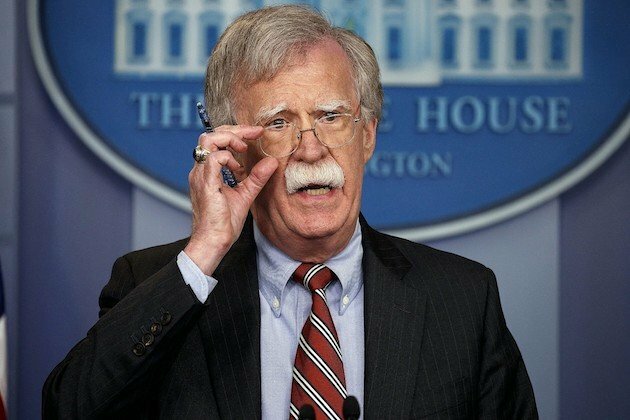 On the eve of September 11 this year, Bolton announced that the United States would not engage, fund, or support the International Criminal Court in any way. On Sunday he expanded on his comments. The ICC is an illegitimate, unaccountable, and unconstitutional foreign bureaucracy that has the audacity to consider asserting jurisdiction over American and Israeli citizens without their consent, he said. The Court is flawed at its core, and we will let it die on its own. Ambassador Bolton said the international court, despite its cost to date of $1.5 billion, has achieved only 8 convictions. Atrocities continue unabated in Sudan, the Democratic Republic of the Congo, Libya, and in many other areas, despite ongoing ICC investigations. The worlds monstrous dictators and despots are not deterred by The Hagues toiling bureaucrats and robed judges. What a surprise, he said. The ICCs real purpose is of course not to punish these perpetrators, but to constrain the foreign policies of the United States and our allies like Israel.. While the ICC has gladly welcomed the membership of the so-called State of Palestine, it has threatened to investigate Israeli housing projects, and it has targeted Israeli actions against terrorists in the West Bank and Gaza, the U.S. National Security Advisor said. In November of last year, the ICC Prosecutor also requested to investigate alleged war crimes supposedly committed by U.S. service members and intelligence professionals during the war in Afghanistan. This outcome was entirely predictable. First, the global governance apostles go after Israel. Then, they come for the United States, Mr Bolton said. The comments on Sunday were considerably more hard line in comparison to the charges the National Security Advisor made on 10 September when he was giving his first major speech after being appointed in his post. He said then the ICC lacks checks and balances, exercises "jurisdiction over crimes that have disputed and ambiguous definitions," and has failed to "deter and punish atrocity crimes." The ICC, he said, is "superfluous" given that "domestic judicial systems already hold American citizens to the highest legal and ethical standards." He made headlines at the time, saying that the United States would do everything to protect its citizens and if the ICC attempted to prosecute U.S. military personnel over alleged abuse of detainees in Afghanistan, the U.S. would bar ICC judges and prosecutors from entering the United States. He added that personal sanctions would also be levied against prosecutors and judges.